This is Love Springs Eternal, one of my more magical and impressionistic pieces. In it I’ve sought to create an uplifting statement on relationship using contrasting movement and a striking architecture. I feel this is one of my most lyrical and sculptural pieces. 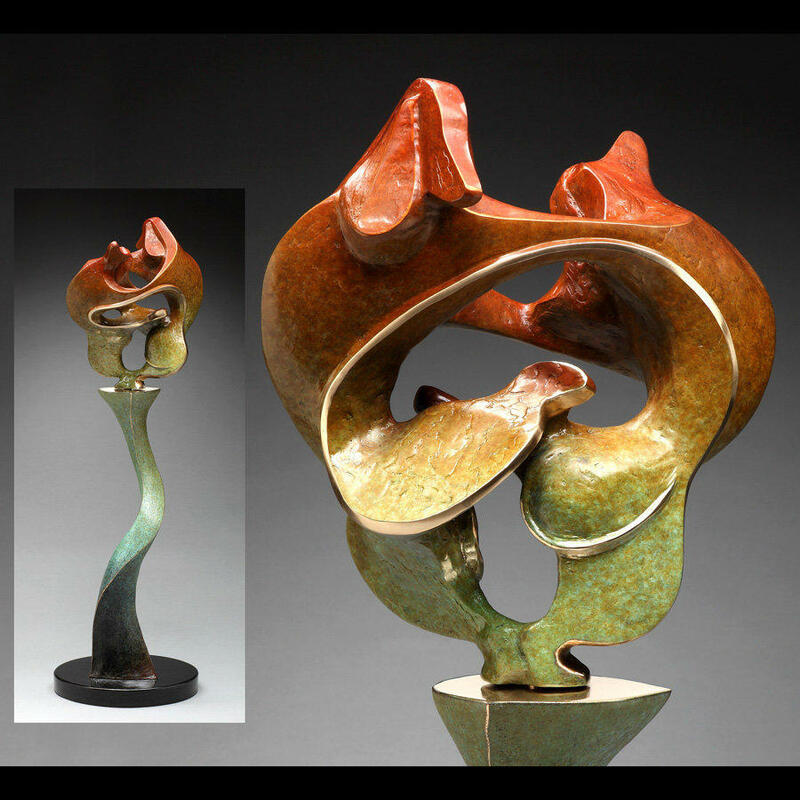 The lower portion I designed as an organic form expressing support and growth. 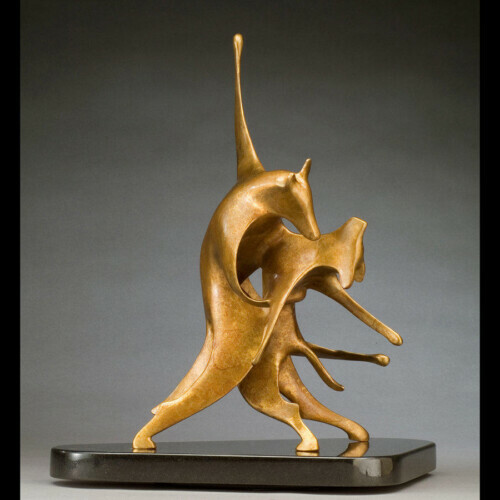 I then polished the bronze on the top to provide a smooth reflective surface for the dancers. Here we have two very stylized Dachshunds in a bold, energetic move reminiscent of ice dancers. Rather than having the whole piece on a turntable, here the dogs themselves pivot atop the polished bronze. The piece has some great complex negative spaces created by the dogs as they face away from one another. From certain angles they form a subtle heart shape. The more time you spend with Love Springs Eternal, the more you’ll see within the design.